Warning. The following sentence may nauseate you. It nauseated me. Now here it is: approximately half of Canadian renters don’t have renters insurance. Big mistake. Renters insurance policies are the only way to protect your most valued assets unless you keep them stored out of your home. A renter insurance policy is typically made up of three main components. Coverage for belongings, coverage to help while affected or displaced by an insured loss and coverage in case you are sued by someone who visits your home or lives in another unit within your building. Why don’t more people get renters insurance? It seems pretty helpful, right? But then why don’t more people take advantage? It must be pretty expensive. Right? It’s not. Renters insurance is one of the cheapest forms of insurance there is. Instead, people who neglect to get renters insurance often do so for one of two reasons. Either they don’t believe they have valuables worth protecting, or they believe they are covered by their landlord’s insurance. The former is almost always an incorrect assumption – laptops, cellphones, iPods, iPads, jewellery, dish, sports equipment, food, towels, clothes are all examples of items you can cover with renters insurance. In most cases, you’ll have something that will cost more than a few bucks to replace if it’s stolen or damaged in a fire or flood. You don’t need to be wealthy to possess things of value, so even if you’re a 20’s something scraping by, it’s not going to be easy to replace what you have. Now let’s tackle the second myth. 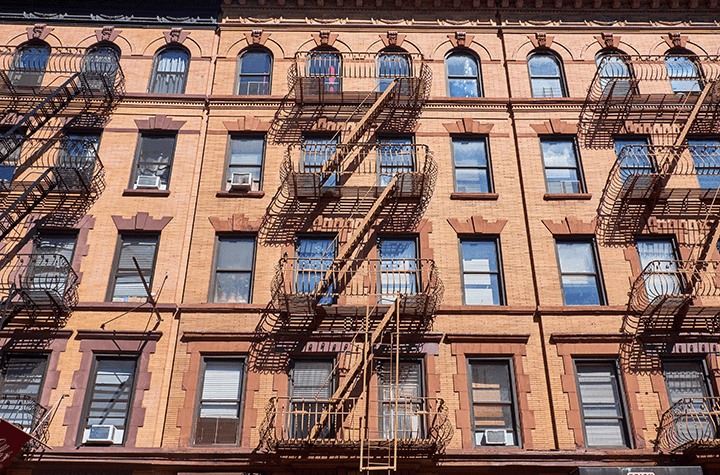 You may not own your home, but you may still be liable for damage you cause to your unit, the building, or worse, the units of other residents in the building. Talk about a walk of shame. You will be liable if your toaster oven causes a fire and it affects other units. No, your landlord won’t cover the damages; instead, they will charge you for the cost of the damages. Heck, even if the landlord owns appliances or other items within your rented home, he or she is not responsible for damages they inflict on your personal property. A good example would be if you bought a few hundred dollars’ worths of frozen meals from Costco and stuck them in the freezer that your landlord owns. The freezer breaks down. Surprise. All the food goes straight to the organic waste bin. Again, your landlord would not be responsible for it. But if you have renters insurance, you’ll be reimbursed. Renters insurance is a good investment for a low cost. Premiums are typically based on the value of the contents and can range from $100 to $500 per year. Luxury items such as jewellery can cost more to ensure and may require riders to be added to your policy. But without renters insurance, you can’t adequately protect your most valuable items, nor the day to day items that feel valuable, but would add up to a significant cost if you lost them all.